Indian carrier Jet Airways has announced a further cancellation of flights, with Bahrain being the latest international destination to be dropped from its network, media reports said. The cash-strapped airline has already cancelled all flights to Abu Dhabi and some of its flights to Dubai, with the airline stating "operational reasons" for the disruption. Your Jet Airways flight has been cancelled. We regret the inconvenience to you and apologise for the same. For your onward connection or for any information regarding your reservation and your revised ticketing details ; please contact any of your nearest Jet Airways offices." 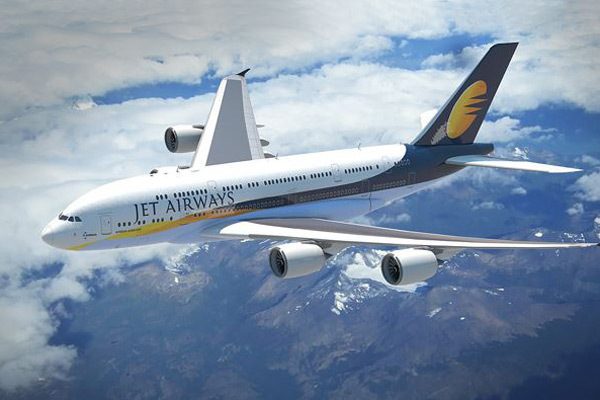 Upon enquiring with the Jet Airways office in Bahrain, an official said that all its services between India and the kingdom have been cancelled until April 27. An airline official said passengers affected by the cancellations will be offered full refunds and they can write to info@jetairways.com. Jet Airways has been forced to cancel a total of 41 aircraft as it failed to pay outstanding amounts to lessors, reports said. Jet is down to operating 150 flights a day from 450 at full capacity. The struggling carrier is desperately seeking an infusion of cash, and is currently in talks with state-run banks and its Gulf investor, Etihad Airways, which holds a 24 per cent stake in the airline, reports said.